One of the things on my summer list was to get in some quality beach time but with the nearest beach 2.5 hours from DC - something I still can't wrap my head around - that hasn't really been possible...especially when hotels and B&Bs all require a 2 night minimum. This weekend, I desperately needed to get away but I also wanted to stay home. 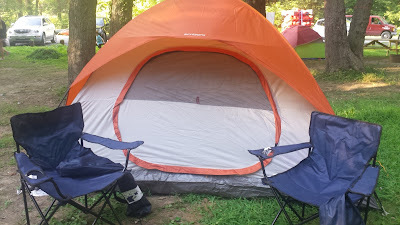 I didn't feel like dealing with airports or long car rides, I just wanted a quick getaway so on Friday afternoon, The Pilot and I packed our overnight bags, a cooler full of snacks, made a quick stop to Target to but a tent and made our way to Harper's Ferry, West Virginia to go camping. Harper's Ferry is an adorable little town with a lot of history...most importantly as a key city on the Union/Confederate border during the Civil War. Walking through the town made me feel like we had stepped back in time. 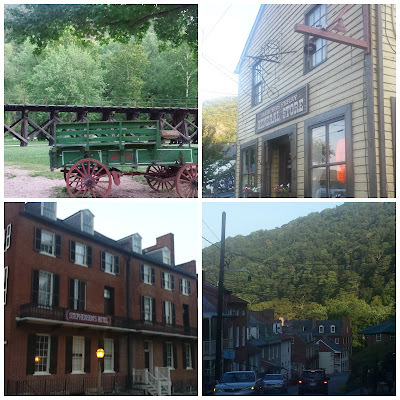 With very few people milling around and buildings that have been there since the 19th century, it seemed like the town hadn't changed at all in over 200 years. 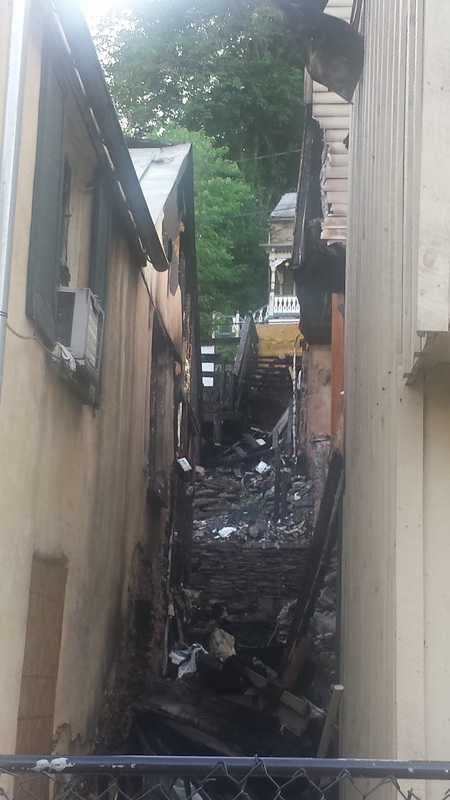 Unfortunately, a fire devastated parts of the town just a few weeks ago and the damage is substantial. From what I've read, no one was injured but in a town of just over 200 people, the businesses lost are detrimental to the city. (If you're interested, a Go Fund Me site has been set up to aid with the rebuilding efforts). The Pilot and I ate dinner, stopped for ice cream and walked around before heading back to our campsite, had a few beers and some snacks and then tucked ourselves into our tent and called it a night. 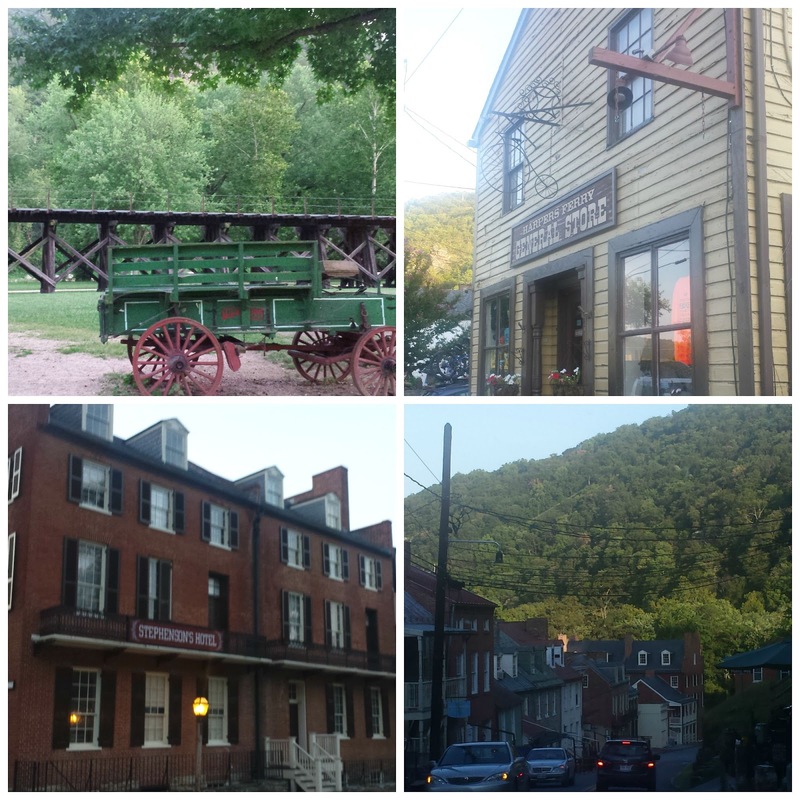 I woke up bright eyed and bushy tailed after a few hours' fitful sleep and The Pilot and I got up, headed to a diner for breakfast and then made our way to the Harper's Ferry Adventure Center to go tubing. This was exactly what I needed...when the beach is too far away, tubing is the next best thing. The river trail was a little bit slow for my taste, but I loved being out on the water. After our tubing adventure, we headed back to our campsite for some snacks before packing up and heading out. 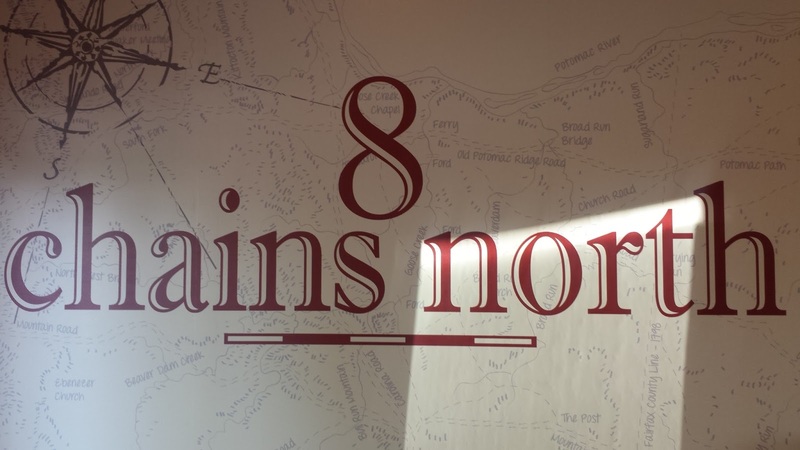 We had already decided that we would visit one of the Virginia wineries on our way home, so we stopped at 8 Chains North for a tasting that was paired with chocolate and cupcakes. The vineyard was absolutely gorgeous but the wine wasn't anything special. Wine, Chocolate and Wine Infused Cupcakes! 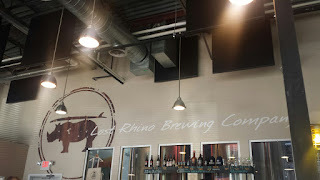 By this point, it was already 4:00 and we were looking for something a little bit more substantial to eat, so we made our way into Ashburn to the Lost Rhino Brewing Company for a late lunch/early dinner. When we got there, the last tour of the day was heading out, so we decided to join in. For $8, you get a tour of the brewery and 4 beers to sample. The tour was awesome and the beers were great...and just like that, we were on our way back to DC...a perfect getaway behind us. We stayed at the Brunswick Family Campground for $11.43 per person. I wouldn't recommend this camp site. It's located behind a train station and trains were running all night, blowing their whistles, making it difficult to sleep and really detracting from the whole being outside camping thing. We tubed at the Harper's Ferry Adventure Center for $30 per person. The river was pretty slow that day but I like the fact that HFAC allows you to make multiple trips down the river, so the fee is more of a day pass than a one way trip down the river. We bought a 4 person tent (that would only comfortable fit 4 people if two of them were under 4 feet tall) for $40 at Target. This weekend was exactly what I needed...a perfect getaway, quality time with The Pilot, good wine, great beer and exploring new places! For those of you who are local, have you been to Harper's Ferry?